Clayton Christensen introduced "Disruptive Innovation" to the business world in 2005. Companies, thought leaders, and academics have now been applying and fleshing-out that basic disruptive concept for two decades. GGI recently examined the various approaches that now exist. 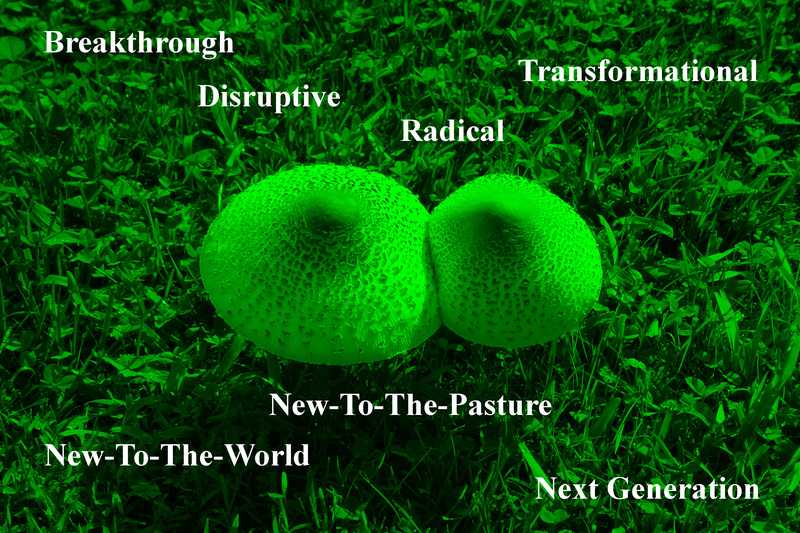 We identified ten differentiable approaches to achieve Disruptive Innovation. They have really great names like: Big Bang, Digical, and more. Each of the ten breakthrough "methods" will be presented, along with recommendations on how to commercialize breakthrough products that may be ahead of their time. References to all cited materials are provided in sufficient detail to enable webinar participants to follow-up on the techniques that may be of specific interest. • Learn techniques corporations are using to attempt radical innovation. • Become aware of the ten or more differentiable methods for new-to-the-world products. • See the range of possible financial returns for attempting to disrupt and break-up markets. There are folks who have great passion for the specifics of this slice of the innovation body of knowledge. Is it Breakthrough? Is it Disruptive? Is it Radical? Is it Transformational? Is it Next Generation? Is it New-To-The-World; or perhaps just New-To-The-Industry? Each of these strategies have commonalities and unique features. 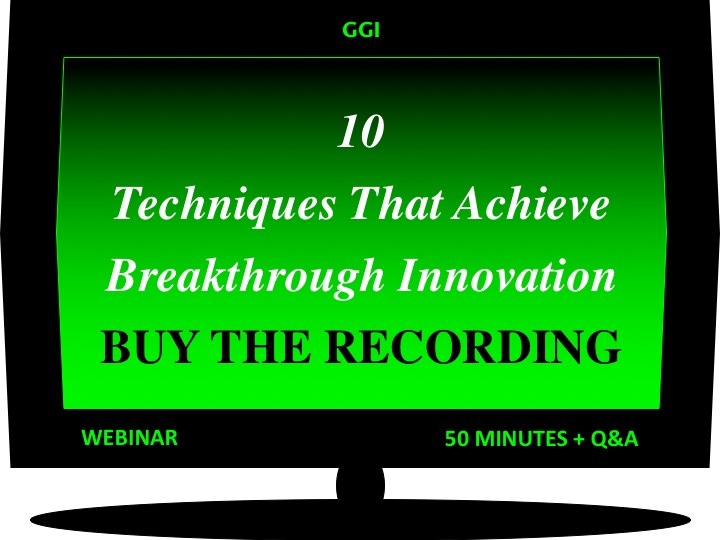 The webinar will conclude by contrasting the 10 "Breakthrough" Techniques to each of these slices of the innovation BoK. Enhance your chances of disrupting the markets where you compete.